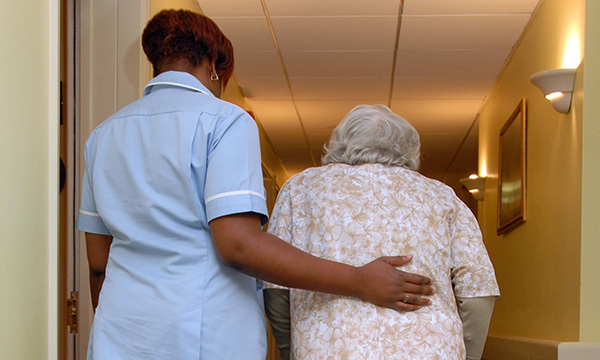 People in some areas of England are failing to receive the social care they need, according to the country’s independent health and social care regulator. The Care Quality Commission (CQC) made the statement in its report, The State of Health Care and Adult Social Care in England 2017-18, which was published today. The report suggests there is growing ‘care injustice’ in terms of access to support between different parts of the country, with disjointed health and social care services placing increasing pressure on emergency departments. The regulator warned that the number of people failing to receive adequate care will rise further unless changes are made to how health and social care systems are funded. RCN England director Tom Sandford said the CQC report reveals a system that is only surviving due to the tireless work of its staff. ‘Two years ago the CQC warned that social care was approaching a tipping point. We are well beyond that now,’ he said. Ahead of the government’s budget announcement later this month, Mr Sandford called for greater investment in nurse education, as well as a fully funded workforce plan for nurses. RELATED: Adapting overseas models of health and social care to the UK: what could work? The DH also highlighted the government’s announcement in June of £20.5 billion extra funding for the NHS by 2023-24, as well as a total of £420 million to help the system cope with winter pressures this year. One positive aspect of the CQC report was an example of how technology was helping nurses to be more efficient. The report highlights the work of Imperial College Healthcare NHS Trust in London, which is using digital monitoring devices to capture patients’ clinical observations and vital signs at their bedside. The devices are reported to have saved about 5,800 nursing hours in the first 18 months since their introduction, halving the time nurses spend on collecting and recording observations.